The 2017 Virgin Australia Supercars Championship can’t be won this weekend, with the Pukekohe and Newcastle events still to come, but it could be lost. 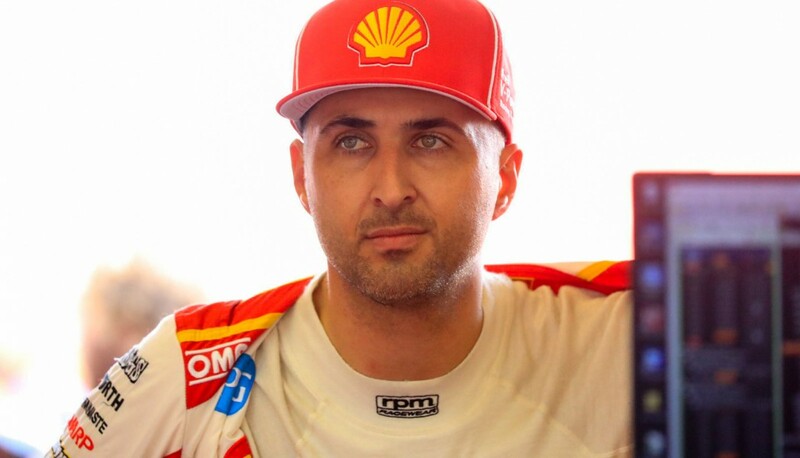 Fabian Coulthard leads Jamie Whincup by 91 points with Scott McLaughlin a further six behind. 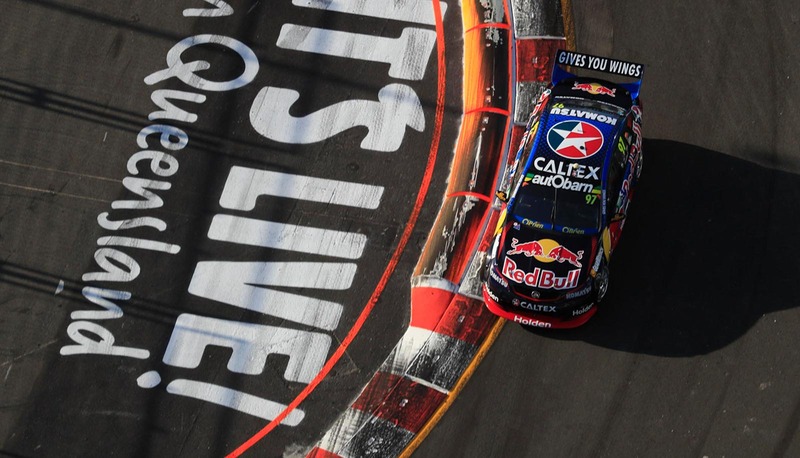 They look the most-likely trio to fight it out, but Chaz Mostert and Shane van Gisbergen are both within 300 points and far from out of contention. How the top three attack the weekend will be fascinating to watch. Coulthard admitted during the week that he was conservative at Bathurst when he knew McLaughlin and then Whincup suffered engine problems. But he knows that won’t be enough to win the title, that he’ll need wins or podiums at least. Whincup and McLaughlin are playing catch up, but definitely have the speed to do just that, as they chase a seventh and maiden title respectively. Their deficit is roughly 10 percent of the remaining available points. With seven wins, Whincup has an impressive Gold Coast record, while McLaughlin’s qualifying pace in particular has been peerless this year. We’ll have more on Mostert later, but you wouldn’t rule out van Gisbergen adding to his three Gold Coast wins and charging right back into the main fight. He does, though, think it’s between Whincup and McLaughlin from here. Coulthard has three possible arrivals this weekend. Two are the twins he and his partner are expecting next week, the other is the PIRTEK Enduro Cup he leads with Tony D’Alberto. The Shell V-Power Racing driver has been coy about what will happen if his partner Becky goes into labour during the race weekend. Ideally for Coulthard, that does not happen. But he might have to make a choice between his title hopes and being present for the birth of their first children. From what Coulthard can control, he and D’Alberto enter the third and final leg of the Enduro Cup in the lead. Sandown 500 victors Cameron Waters/Richie Stanaway and Mostert/Steve Owen are 66 points behind, while Bathurst winners David Reynolds/Luke Youlden are 72 adrift. A further four pairings are within 150 points - with 300 on offer this weekend - in the fight to become the fifth winners of the PIRTEK Enduro Cup. Teams would have left the rain-hit Supercheap Auto Bathurst 1000 not expecting to use their wet tyres on the Gold Coast in the second half of October. Subsequent forecasts will have changed that. At the time of writing, Saturday looks like it will be shaped by rain, and there is an outside chance some will fall on Sunday as well. 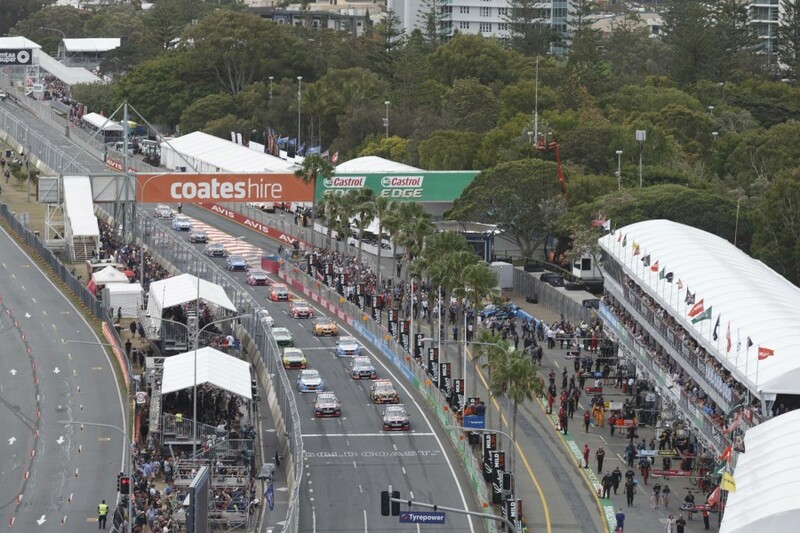 There hasn’t been a wet Supercars race at Surfers Paradise since 2002, the first year drivers raced for points. Jason Bargwanna won that for Garry Rogers Motorsport, leading home Craig Lowndes in 00 Motorsport’s ‘green-eyed monster’. Later that afternoon the CART Indycar race was marred by torrential rain, the bulk of the running completed behind the Safety Car after a massive startline crash. Rain amplifies the challenges of racing on a street circuit, but has shown it lends itself to surprise results. Can Mostert vault into contention? There was a point during the Bathurst 1000 when it looked like Mostert would jump from fourth into the championship lead. McLaughlin and Whincup had been hit by valve problems, Coulthard was not setting timing screens alight and Mostert led the race into the final 30 laps, as Prodrive flexed its muscles in the wet conditions. Prodrive’s race ultimately unravelled, Mostert going off at The Chase while following van Gisbergen and flatspotting a tyre. 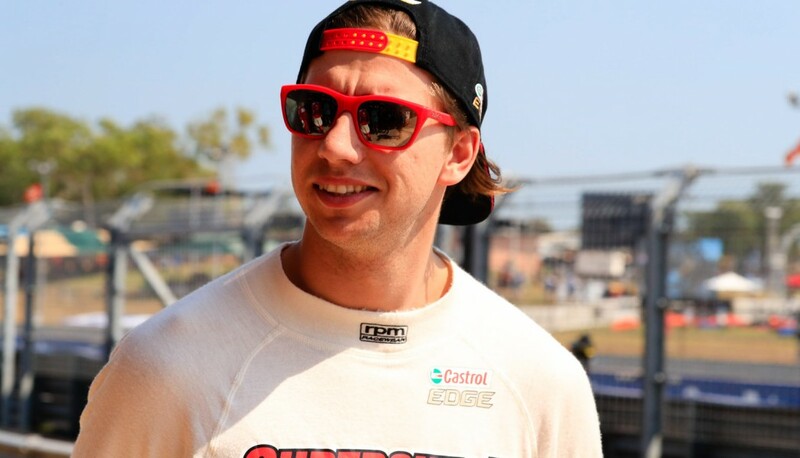 Mostert then turned Garth Tander around after the lap 144 restart, earning a penalty, as he and Owen finished 10th. The Prodrive Falcons have found form in recent rounds, Mostert/Owen finishing third at Sandown in a double podium, but the Gold Coast has not been a happy hunting ground of late. In the six races since David Reynolds and Dean Canto won on Sunday in 2013, a Prodrive Falcon has finished on the podium just once. Last year, its best qualifier in the two races was ninth and sixth, but Mark Winterbottom did leave with finishes of fourth and fifth. Like van Gisbergen, Mostert has plenty of work to do to get back into contention, and will have little choice but to be aggressive this weekend. Erebus Motorsport had a big weekend in Bathurst, winning a championship race for the first time since its rebirth as a Holden outfit at the start of 2016 with Reynolds and Youlden. And it was the Great Race. It heads to the Gold Coast on a high, and with a Commodore that has come along in leaps and bounds this year with Alistair McVean calling the engineering shots. 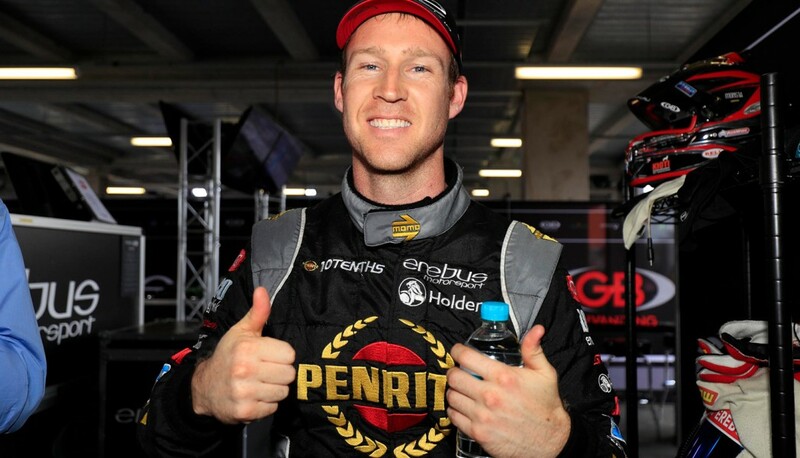 Reynolds has talked about the confidence he takes from winning Bathurst, and being a confidence driver in a confidence sport, while Youlden’s performances are even more impressive given he hasn’t raced all year. The car was quick at Sandown as well, but couldn’t match the tyre life of Prodrive, Shell V-Power Racing and the Red Bull Holdens. The rain at Bathurst meant we didn’t get a read on improvements in that area. Reynolds flew on the Gold Coast last year, qualifying fifth and third. While race results didn’t follow, back-to-back wins would not be a surprise result.